iPod nano: bigger size for bigger capacity? 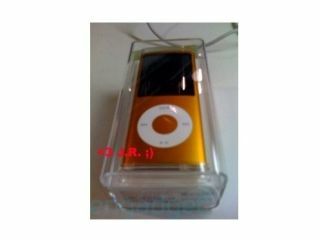 iPod nano to come in fetching orange? Spy shots and rumours are circling about what's going to be announced at tonight's Let's Rock event, hosted by Apple. The biggest hint yet at a new iPod nano range has hit the web, with spy shots suggesting that Apple has opted to go a little bit old school on its diminutive device. If the shots are indeed genuine, then Apple has decided to stretch its nano, forgoing the squared look of the last model. It also seems that Apple has stretched out its capacity too. Doubling the nano's disk-space from 4GB and 8GB to 8GB and 16GB options. And if that wasn't enough, the company looks set to enhance its colour palette offering myriad colours, including metallic orange, purple and yellow. If rumours are true, then there will be a choice of six colours for the 8GB version and nine for the 16GB version. In other Apple news, Engadget is weighing up the possibility that the iPod touch won't be given a capacity upgrade, but a price cut. TechRadar will be at the Apple event, so we will be able to sort out the wheat from the chaff, rumour-wise, later today.